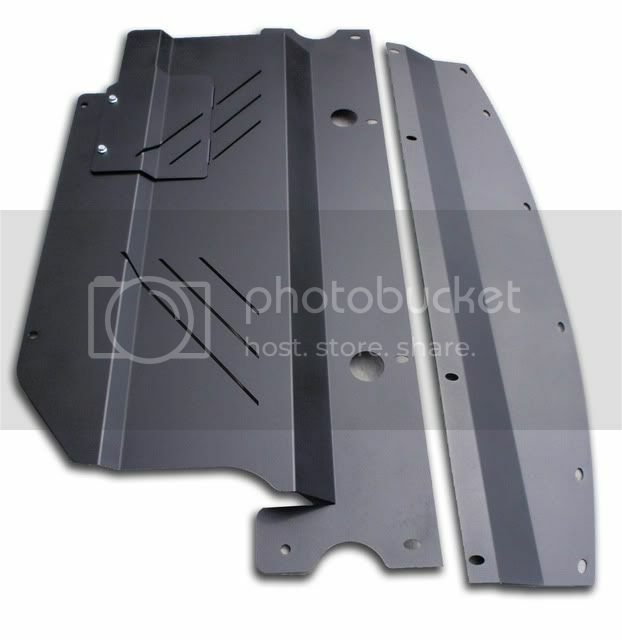 Replace your plastic OEM splash shield before it rips away on the highway. It happens to people regularly now. This 3-piece stock replacement is strong, lightweight, and comes with a built in oil door. 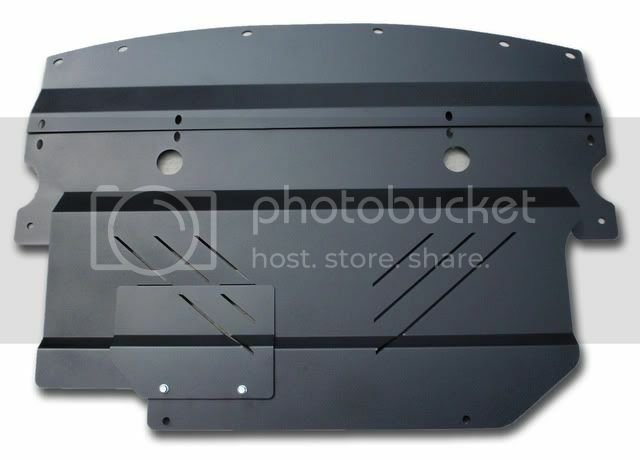 * Oil Door - access to oil filter and drain plug WITHOUT removing the entire shield. Quick and clean oil changes. Last edited by tollboothwilley on Sat Jul 07, 2012 3:13 pm, edited 21 times in total. I will take one! Gotta paypal? Last edited by tollboothwilley on Thu Jun 24, 2010 9:31 pm, edited 1 time in total. Don't you mean you copied someone elses product? Similar for sure, but definetly not a copy. If I copied it it would have saved me $$ and 20+ hours. Maybe it's just me but it seems like chances are pretty slim you would come up with this idea on your own and develop it and fit it by yourself with no influence by spddracers product and just coincidentally make yours look exactly like his. I mean, come on, the three sections are split in exactly the same places as Joe's. The oil filter access is in the same place and the same shape? If it were the same idea implemented differently then fine. If you had a similar idea and came up with your own product or sought to remedy flaws in his design, thereby coming up with your own then no big deal. But it's pretty obvious you just straight copied his. You're not kidding anyone. There are always copies of things, it doesn't matter. Rota makes a killing copying things. If quality is there and price is good it works. I'll be getting one within a month. forcefedtt wrote: Your dismissive attitude doesnt make your statement any more true. Any person of ordinary intelligence can see that your product was copied. thereby coming up with your own then no big deal. But it's pretty obvious you just straight copied his. You're not kidding anyone. This must be "get your 300zx guys to bash other people for you" day. I'm not dismissing the similarities or even that his influenced me to create my own. I made this to help friends who were in the same boat as me and didnt want to spend a fortune on a piece of bent aluminum. Obviously I had seen pictures of what his looked like. Mine looks similar because IT HAS TO. I've spent at least 20 hours doing this. Call it a knock off, I'm fine with that. But it doesn't mean I took his R&D and didn't fab mine up. Good God... I hope you guys are also emailing Stillen, JWT, Fujita for copying eachother on intakes. I also hope you're also harassing Hyundai for basically copying the G35. 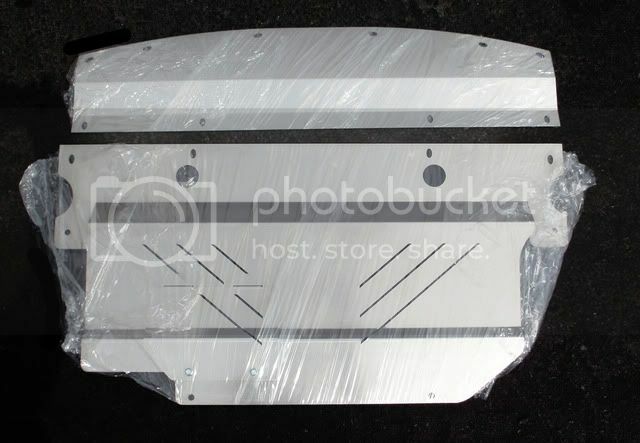 I had an aluminum underbelly pan on my G Coupe in 2004. That was LONG before either of these guys made one. I have access to sheet aluminum, a hydraulic brake and shears, an air nibbler, and some neat bead rolling tools. In fact, mine looked remarkably similar to both of these. Wanna know why? Because there's really only one way TO make one that fits, and that's dictated by the shape of the car. So, who copied mine? Go ahead, raise your hands. I'd appreciate it if those of you who are here just to chime in would think long and hard before you post in a thread that doesn't pertain to you. Didnt NISSAN design the original? And then ARC (japan)? I spent hours and hours as well as PLENTY of my own money developing this. I COPIED NISSAN - using the stock shroud from my friends 2007 350Z. Started with cardboard - created a template. Then used a very thin piece of aluminum sheeting to create another template. Finally I adjusted previous templates to create my final one and set holes in perfect location. 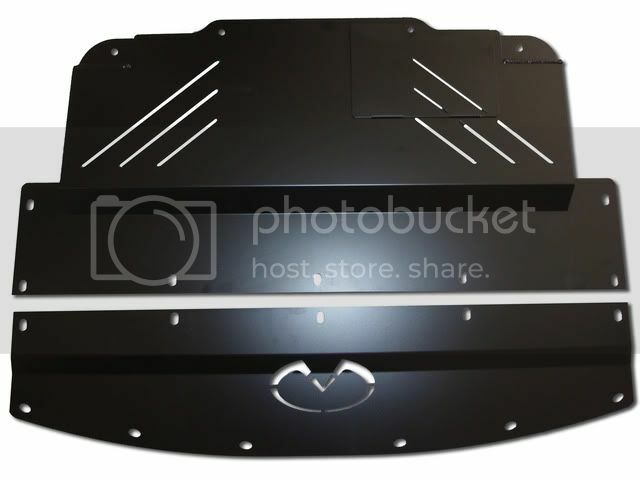 My design is likely to be similar to any others that have been or ever will be made out of metal because it utilizes stock mounting hole locations. I ultimately did this to save myself money by doing it myself and helped a few friends. I can see your point, but did you market and sell them? That wasn't the question. I'm sure I could have. The point is this: We're not responsible for his failure to protect his supposed design appropriately. We're a car forum, not the US Patent Office, for crying out loud. What's he want me to do, beat the guy up? He needs to be telling an attorney his tale of woe, not us. And enlisting a bunch of buddies to come in here and tee off on us is just plain silly. Greg, Sent you an email. Typically everyone just reuses the stock hardware but if you are missing some I can help you out. Let me know what you need, or i guess if you need all of them. 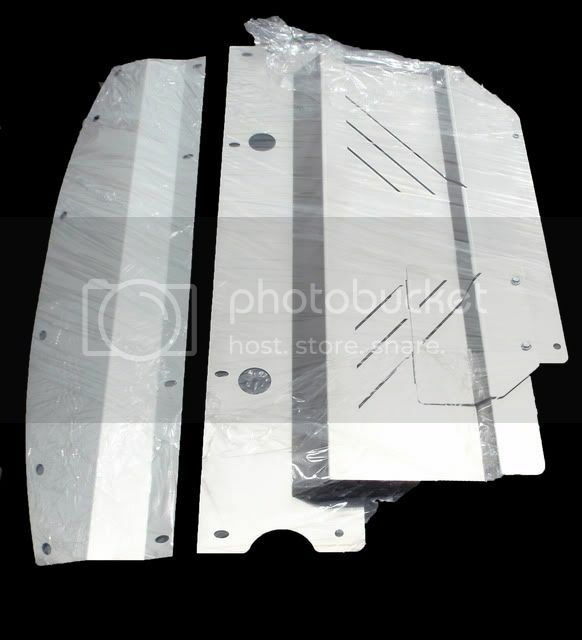 If your stock one ripped off then you may/may not have gaping holes in the bumper & fender liners like I did. Price with shipping to 38134? Also, do you offer one powdercoated in black? sending PMs to you guys. Didnt get an email from this thread like I normally do so I didnt check back. Sorry for the delay. tollboothwilley wrote: sending PMs to you guys. Didnt get an email from this thread like I normally do so I didnt check back. Sorry for the delay. I am very interested in the undershroud for the G35X. Are you still selling it? If so can you please let me know how much will it cost? Shipping zip code is 80229. Also do you sell it with black powdered coating?